MTK (mediatek) devices are currently becoming the most popular smart phone devices due to their cheap cost and they are also easy to customize. These customizing also brings about the risk of bricking your device. 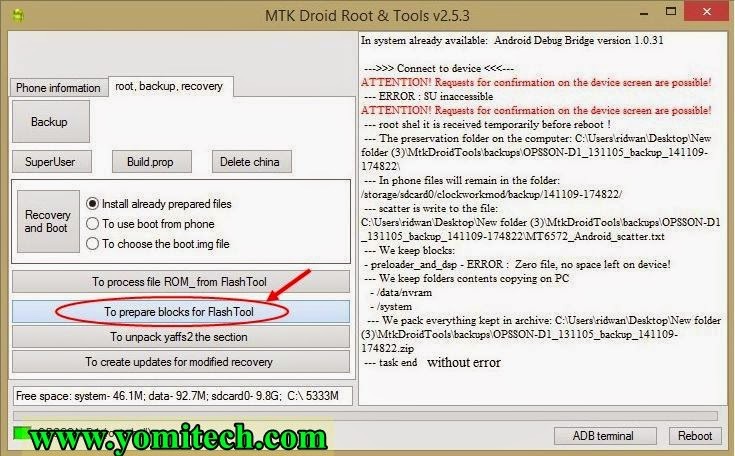 Do today I will be teaching you how to back up your rom in case you mistakenly brick your device. 5· In case you see a blue color below, click on root and wait for a moment while your device gains temp. 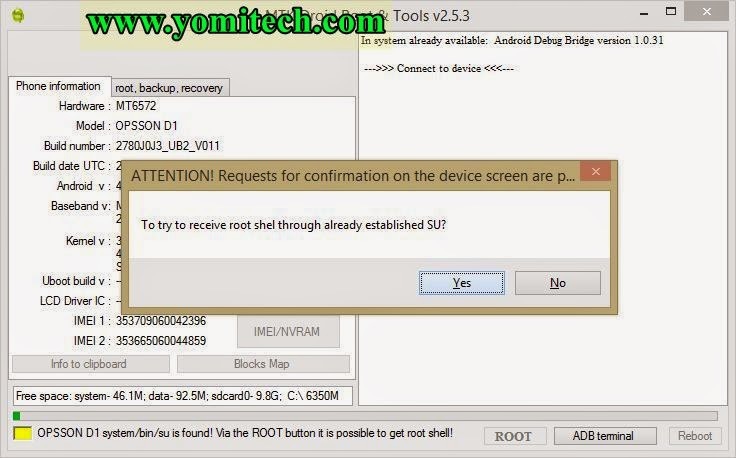 root shell. 12. 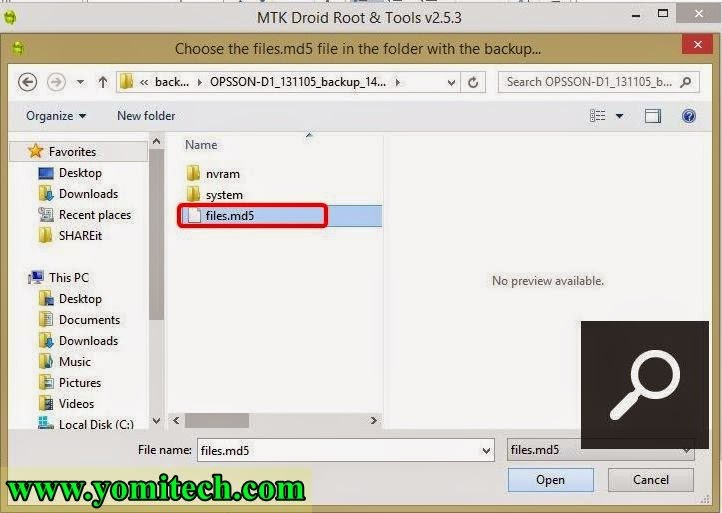 After that the blocks for flash will be automatically created and you can find it inside your backup rom folder. 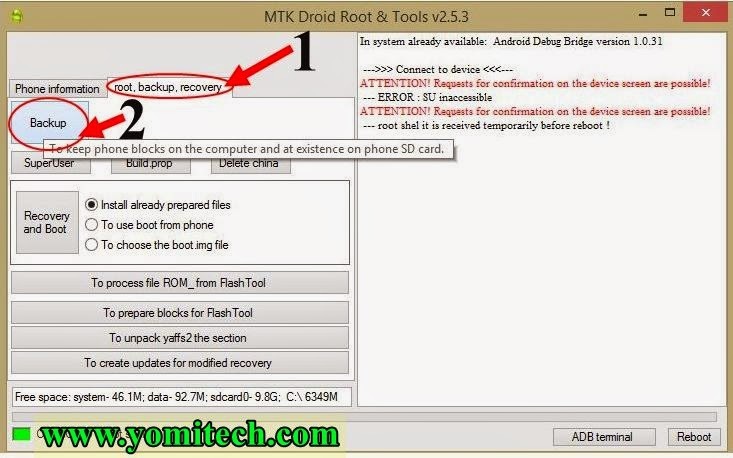 Just click on this LINK for instruction on how to restore the ROM.